I found this book to be very easy to read and follow. There are lots of pictures, diagrams, graphs, and tables which aide in understandin the text. There are review sections and questions at the end of every chapter so it is easy to tell if you have learned the material or not, plus you get plenty of practice. 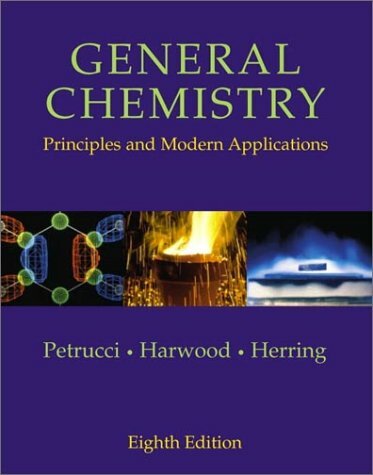 It covers all the basic advanced highschool chemistry and is a great book to go through before freshmen level chemistry in college. Overall this book is an excellent learning tool weather you are using it in a class or just using it for a reference for upper level chemistry classes. This text is widely used and has helped many students to understand chemistry. The sequence of topics presented is traditional. It has a good chapter on modern materials. The dual-column format of examples clearly shows problem solving strategies. This, and all other similar textbooks, are written for studnents who have appropriate background in high school sciences and reasonable reading comprehension. It is not fair to compare this book with a teacher whom you can talk face to face. Considering the poor reading skills of today's college students, most of whom have hard time with any materals written at 8th grade readability level and do have no idea on how to read and use a textbook, it is impossible for any textbook to do the magic of enlightening them. The companion website of this text has thousands of problems available for practice, much more than most other similar textbook websites. Learning chemistry is like learning how to play tennis. You can't expect to learn how to play tennis by watching tennis matches on TV. Similarly, you can't expect to learn chemistry by simply reading the textbook or watching your professors solve problems in class. You have to practice. If this is the text you are using, take advantage of this good resource. Students using other texts are not as lucky as you are. For a slightly more engaging text, see the one by Moore, Stanitski and Jurs. I am a teacher using this book for an AP Chem class. I have found the book very difficult to use. Topics are rather disconnected and most of my students had trouble following the logic of more difficult subjects. The early chapters are particularly difficult. I have also found numerous mistakes with the materials available to teachers. The number of errors on the power point presentations are ridiculous. I also questions some of the answers with regards to the use of significant fiqures. The Web Site is excellent even though I only use the standard version and not the electronic chapters. The solution manual is so-so. Sometimes shortcuts are used without explanation which is dangerous for AP students. I would not recommend this book for use in the high school classroom from the point of view of both the teacher using the books and materials and the student attempting to learn from the book. The only reason I got A's in Gen. Chemistry 1& 2 is because I had a FANTASTIC teacher (thank you François). This book makes Chemistry harder to understand than it should be. I recommend this book to insomniacs who like to get headaches! I would have to say that this is the best chemistry text I've ever come across. The strongest point of this book is the examples and practive questions. When presenting a new topic, they usually have about 3 practice questions that quiz you on the subject by asking it in different ways. The full solution and answers for these questions are included in the book. So there are no surprises when the test comes--you know every way the question can be asked. So while Chemistry isn't the most exciting subject overall, this book makes it a lot easier to learn! My school uses this book. This book is the worst book I have ever used. Poor explainations. Poor examples. Even advanced students find it convoluted. 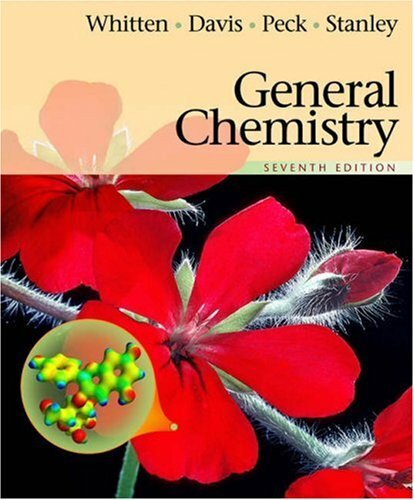 PLEASE AVOID TAKING CHEMISTRY FROM THIS BOOK. Only used because of kickbacks to Chemistry departments! This is the POOREST excuse for a general chemistry book I've ever seen! If I could rate it NEGATIVE stars I would! Every moment with this book is a nightmare! The only reason the publisher is able to unload it is because Chemistry departments get a KICKBACK from the publisher for requiring it! Without the kickback from the publisher, this JOKE for a chemistry book would fade away into oblivion! AVOID THIS BOOK AT ALL COSTS! If your school requires it, find somewhere else to take chemistry! This is a traditional freshman chemistry text widely used especially in the southern states. Its explanations of chemical concepts are generally clear. The writing style might be too formal for many today's college students. The book contains plenty of worked-out examples to illustrate porblem-solving skills and ample end-of-chapter exercises. Problem-solving tips and margin notes on common mistakes, though ignored by many students, are generally very helpful. Chapter 8 on molecular geometry is much more detailed than most other textbooks of similar level. A good flow chart is provided at the beginning of the chapter. However, some example problems are needed to show students how to identify geometry and shape of a specific molecule. Thermodynamics is introduced in a single chapter in the second half of the book. The sections on entropy and Gibb's free energy is somewhat too brief. A better introdction of energy and heat is needed in chapter one. Generally speaking, the text contains a great amount of information, maybe too much for students who are poorly prepared for college level chemistry. The authors should also strive to show students how different topics covered in the text are related to each other. 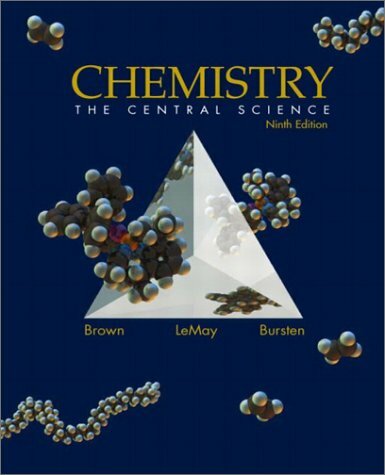 Another good traditional general chemistry text is the one by Brown, LeMay, and Bursten. The one by Oxtoby, Freeman, and Block is a very accurate text. An exciting new text by Moore, Stanitski, and Jurs is clearly written and has many new features that promote students's active learning. In my opinion, it might be a better text for the new generation of college students. Some cheap resources for struggling students include: The Complete Idiot's Guide to Chemistry, Survival Guide for General Chemistry, and Chemistry for Dummies. Best Chem text on the market!!! 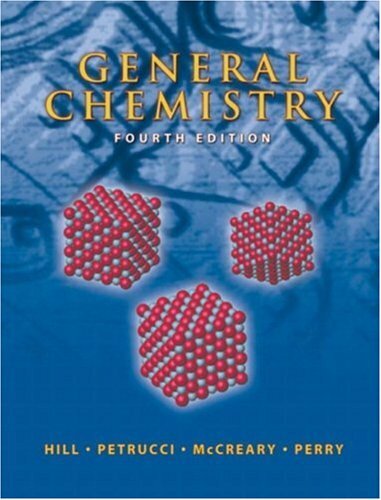 This is the best general chemistry text on the market. I used Ebbing's text at first, that text is misleading. Lot information is out of date, but in this book everything's very clear. It's problem solving tips in each section is very helpful. It helped me alot avoiding common errors and clarified many misconceptions. 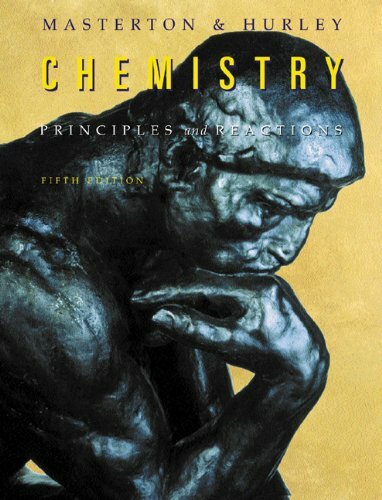 It REALLY is the best chem text on the market as one of reviewer said. At least much better than two other books i used; one by Ebbing, one by Adkins. Don't buy those books. They're waste of money and probably ruin your clear mastery of chemistry. This book is nice. With the CD-rom it will be even better. This is a very complex textbook with TONS of mistakes within. One example that I remember is on page 85, question #66. It says its composition by mass is 49.4% C, 7.64% H, 17.7% N, 15.3% O, and 10.1% S. When working out this equation it will not come out right, it should be 47.2% C, 6.55% H, 13.0% N, 25.9% O and 7.43% C. I hope some of this helps! The Tenth Edition also brings the field of pharmacology up-to-date in terms of critical areas such as molecular biology, new drugs, and clinical studies that have contributed to the understanding of therapeutics and their role in the management of disease. 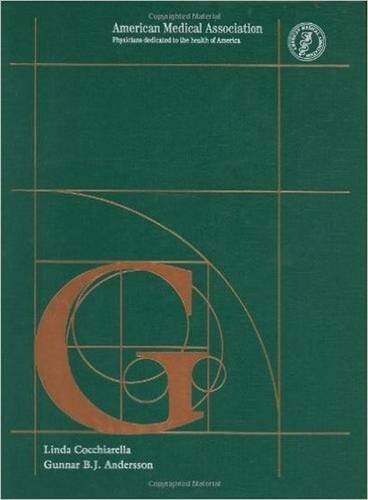 Time-tested, yet up-to-the-minute, "G & G" is truly the most current, expert, and easy-to-use drug reference available today. "Goodman & Gilman" has been the staple of pharmacology for many years, and with good reason. While I agree with the other reviewers that it is the gold standard, in the "old days" the book was updated about every 5 years, and this one came out in 1996. Given that the book probably took a couple of years to revise, the information is close to 10 years out of date! As is stated in the Notice on p. xviii, "Medicine is an ever-changing science." I have been waiting for the 10th Edition for some time now...! This book is great for the right audience, and for the right job. This book is not for the following people/jobs: 1. Medical students. 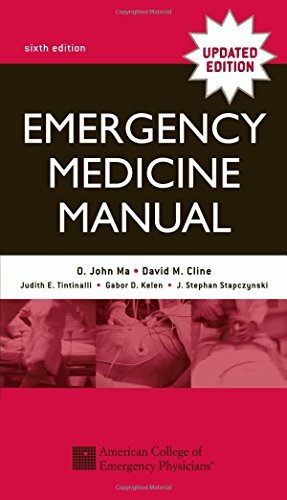 If you are a medic, and you need a text for your pharmacology class, try the simpler and less detailed books like Katzung's. The level of detail in G&G may be overwhelming. 2. As an intern/resident, you really don't have the time for such details either. A pocket guide comes in handy for your day-to-day work. This book is excellent for research purposes, especially for presentation at a conference, for pharmacists and pharmacologists, and for others directly involved in drug dispensing or manufacture. 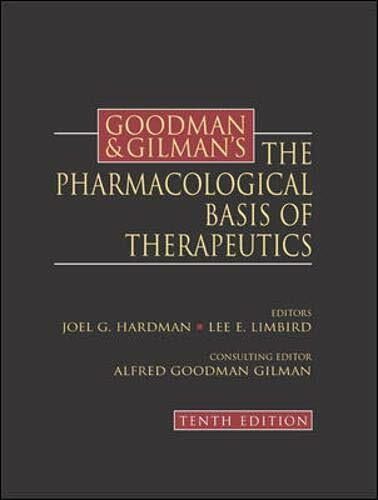 "Goldman & Gilman's The Pharmacological Basis of Therapeutics" is one brain toasting book. It reminds me of the "Principles of Pharmacology: Basic Concepts & Clinical Applications" (edited by Paul Munson). Of course, either of these two books can serve as a reference tool; and although the latter maintains a price advantage, 'Goldman & Gilman's' is more ubiquitous. It is rich, versatile, and presents well laid-out voluminous chapters. Anyone who reads this book will appreciate how it tackled General Therapeutics, Biochemistry, and Molecular Biology. Essential for the Pharmacology Part of the Boards! This pharmacology book is solely responsible for my honors grades in pharmacology and on the national boards. All topics are covered comprehensively, with far greater clinical application than most pharmacology texts. The chapter organization makes sense, and it is well indexed. This was one of the few med school books I kept and used for years after leaving clinical medicine to go into research. 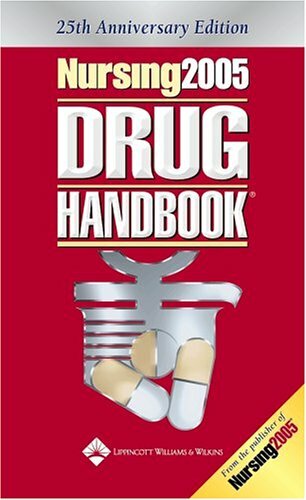 I used the book for researching medications for family and myself - information on side effects and interactions was very good. There are almost no illustrations, and few charts, so it's not easy reading, but it is definitely worthwhile. This text is best suited for very good students who are motivated, comfortable reading English at a high level and mathematically adept: other students would be served much better by a different book. It contains far more material than could possibly be covered in a standard freshman general chemistry sequence, even with a good class. The authors assume that their audience is composed of the students I described initially (I am told it is the textbook at MIT), and leave it to the instructor to "break it down" for the students. Initially, I was not fond of this book, but I have slowly changed my mind, and I believe I have a better grasp of introductory chemistry thanks to the extra depth it goes to and the challenges it made me rise to. 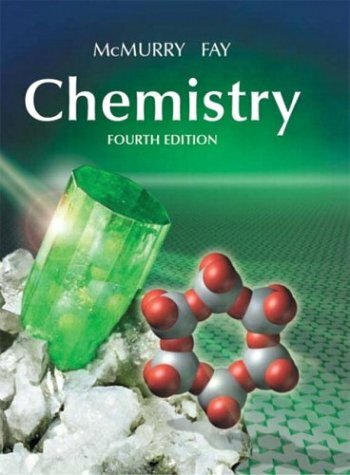 It is because of textbooks such as this one that students lose interest in chemistry, and, worse, science in general. Yes, it is filled with LOTS of information, but there are many instances in which otherwise relatively simple concepts are twisted into something incomprehensible. In some cases, it seemed that the authors went out of their way to explain a topic in the most convoluted manner possible. Come on guys, chemistry is complex enough as it is, so rather than write a tome displaying how much YOU know about the topic, how about a more "student friendly" textbook that doesn't so readily confirm most people's suspicians that chemistry is as dry as saw dust. This text was used in 1999-2000 at Oregon State University for the 100-level General Chem sequence for non-science majors. It is an excellent text with a (generally) friendly approach to introductory topics, and there are many nice photographs and discussion boxes containing info about practical chem applications. For some reason, the authors include a significant section on organic chemistry in chapter 2, far before they discuss bonding.... Other than that, this book is great. Better than four out of five other general chem texts. Simple to Say, Detail to Explain! This book contained many interesting pictures and well drawn diagrams, but could have been better organized and more detailed in it's explanations. Overall, this book did satisfy the basic principles and ideas generally found in chemistry 101 and chemistry 102 courses. I used this book for AP chem. I know one of the reviewers claims that it doesn't prepare you for the test. I think though, that it covers all the information you'll need to get a five on the AP, as I used this book, and I got a five. Perhaps, the practice problems aren't exactly AP chem test type problems. Therefore, to study for the actual test, go find a practice AP chem book like Barrons. They give you myriad practice problems. This book though, explains chemistry, not just how to do problems. Some people think that its over simplified. I think that its just written well and doesn't over complicate matters. Everything you need to know for a first year non calculus based chemistry course is in this book...and its accessible. The language is clear and concise. The sample problems are very useful because they cover basic problem solving techniques. I also enjoyed the little notes in the margins, they're kinda funny (this refers to the third edition). Anyway, if you want a general chem book that is not too complicated but still covers alot of material, this one's for you! 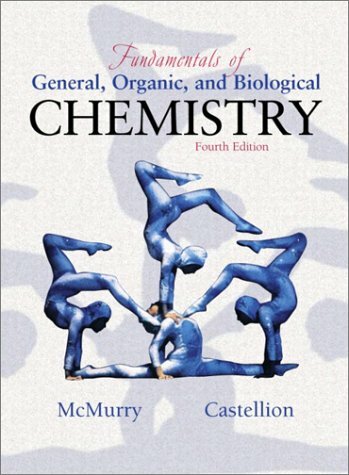 Although this book may be useful as a reference, it is a disaster if you are new to chemistry and don't have a professor, who could explain some topics from this book. In order to understand the book's problems you have to buy separately a solution manual. A bit too complicated for a General Chemistry text, yet it still fails to touch on certain important aspects (steric numbers, among others). 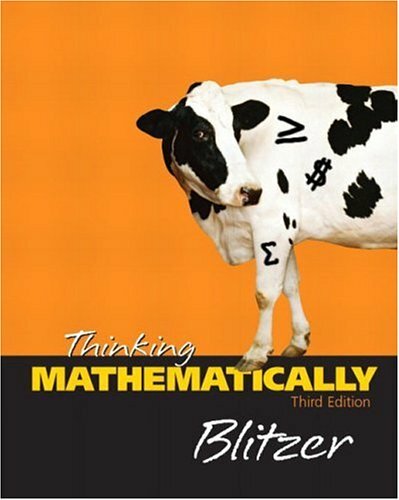 The practice problems at the end of each chapter are highly abstract, but may be viewed as somewhat useful when compared to the extremely wordy and complicated study guide. College students studying Chemistry for the first time, especially older non-traditional students, will find the authors' approach to several concepts to be unnecessarily complex. This text is far more useful when accompanied by a study guide such as Houk's Chemistry: Concepts and Problems, A Self-Teaching Guide. The text's study guide is fairly useless unless the instructor pulls tests from the publisher's web suite. I previously lauded the 3rd edition. Now I am extremely impressed by the latest edition. There are more pictures and elaborate details about diagnosis and treatment. But what I consider the best improvement are the expanded tables in each chapter. These tables detail recommended evaluations, treatments and differential diagnosis. 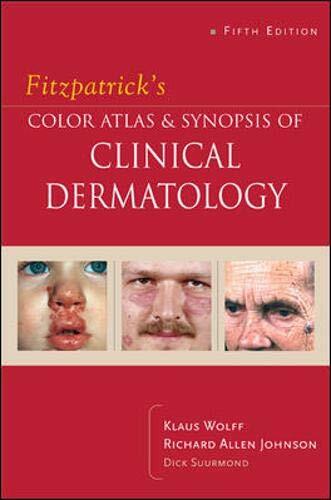 I have used this book both for Dermatology class, in my dermatology rotation and in other rotations. It is a great resourse to just look up information. It has great pictures and is easy to sit and read and understand. I can say I have definately gotten my money out of this book. ...for it is easy to use, written very clearly and it has wonderful pictures. From the moment it was recommeded to me as a student to now, I have used it just about everyday. 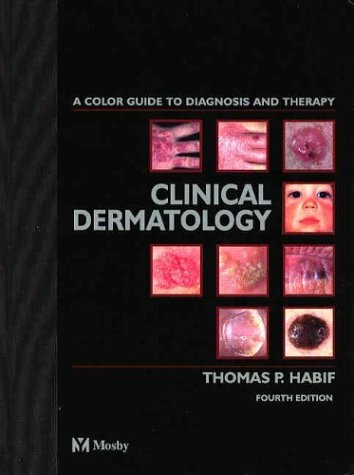 Just as an example, Habif has a wonderful chapter on Acne that allows the primary care provider to manage this condition from its mildest to the more complicated forms. He describes the condition and the treatment options giving us a great resource for care. This book receives a rating of five stars. It is clearly written, easy to understand, comprehensive, and contains practical information accompanied by hundreds of clear color photographs. This book is very helpful to me in my practice and I refer to it often. It really is a standard of excellence. I can't recommend the book more highly. This book MUST be in a survivalist library! 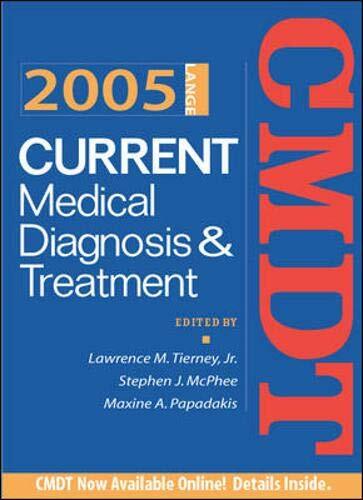 It is the authoritive guide to identifying, diagnosing and treating human illness. You'll find nearly all the collected current knowledge of modern medicine within these pages. Along with the Bible, this book is the single most important literary resource you can own. The Merck Manual is broken up into sections categorized along types of afflictions and causes, followed by appropriate treatments. Sometimes the language is clinical and can be difficult to follow without an understanding of the terms but most laymen can grasp enough to administer correct emergency medical care when necessary. The Merck manual also proves useful when confronting your doctor about your condition or that of a loved one, it enables you to understand the diagnosis and treatment sufficiently to determine if there may be a mistake or a possible side-effect your doctor might not be willing to admit to. I also recommend "Where there is no Doctor" and "Where there is no Dentist" to accompany this great book. Dubbed the Bible of Medicine, the Merck manual is a book condensed enough to cover all the major aspects of of medicine in a text written that even though is targeted towards health care practitioners, can also be used by that layman. Written first at the end of the 19th century, the manual covers nearly most of everything in the medical field. From why epilepsy occurs to that dreadful itchy rash, the topics are concise, up to the point and easy to understand. Even though a home edition exists, the black book can be used by educated people to know anything they would like to know, with the exception of surgery. The book is divided into an alphabetical scheme, where all the topics are featured in that order. However that can be confusing as such since the subtopics are not arranged that way. Case in point, if you wanted to search for Candidiasis of the skin, you should not search under C, but S for skin disorders and then follow things through. This can be confusing at first, but then again, this is not an encyclopedia or dictionary of medical terms. The great thing about the book is the way everything is covered in the basic schema of background, signs and symptoms and then therapy. This helps people understand the topic in the right sense and actually makes it stick to your mind for a long time. The book is also good enough to mention the doses of the drugs used to treat an ailment. No medical clinician should be out there practicing without the Merck Manual on his desk. This is a quick reference that is essential in the day of evidence based medicine and where the patient is educated enough to be a part of his or her treatment plan and not just the silent recepient. The book can be found in the hard copy format and is available for the PALM, which makes it the best reference carried in a doctor's pocket. A great medical reference book that has been around forever. Probably more for medical professionals than the lay person though. Also recommend "The Multifidus Back Pain Solution" if you have back pain from lifting patients around all day like I do. It's amazing to me that a book like this could still be current. 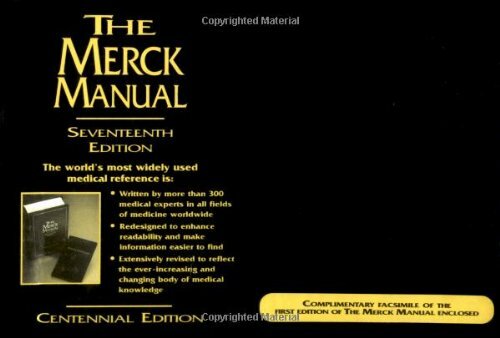 In many ways the Merck Manual is a relic from another age, when doctors had to fit their entire medical libraries and equipment in a stagecoach and specialists were unheard of outside the largest cities. It remains a wonderful travel reference for the physician, great vacation reading for the medical student, and an affordable way for the educated layman to pursue a personal interest in medicine. A layman who wants to tackle the Merck Manual in its entirety will need a good college science background and a medical dictionary. While this book is very well written, it is quite dense and often assumes a basic knowledge of the medical sciences. The Merck manual is probably the only serious medical textbook that is affordable for the general reader. I highly recommend it to anyone interested in medicine--those considering medical school will probably find it especially valuable. Why do so few people own and use this book? editions of the very many years it has been in existance, you obtain a look into the past and evolution of human knowledge. The publication is regularly issued and is now it its 17th edition. As the very many other reviews have stated it is an incomparable work for its small overall dimensions containing over 2832 pages in an easy to carry design and format. The paper is of high quality, very thin and long lasting capable of withstanding much abuse. The breadth of the subject matter contained therein is beyond the reach of most other medical books except perhaps the excellent medical text entitled "Wilderness Medicine" authored by Auerbach. However the extremely well done full size Auerbach publication is not something you would carry while the Merck Manual is just for that type of instant reference, easy carry availability. While the Merck Manual is not and does not pretend to discuss surgery in any depth nor teach any surgical procedures it certainly indicates when surgery is a treatment and does discuss various surgical therapy. An example is Hydrocephalus where within a short space accurate and useful discussion is imparted as to etiology and surgical remedies. This book also contains excellent chapters on Pharmacodynamics and Clinical Pharmacology. This is unusual in a general medical text. There are very few medical conditions not addressed in this publication. I do not understand why in the United States the Merck Manual is not found on the desk of most physicians. Perhaps its extraordinary overall scope is not as useful as more targeted texts to the specialty practiced. Certainly specialized publications, which Merck is not, are the method to conduct in depth research but to have in such a simple one volume format a fully comprehensive general medical text is a pleasure to possess and use. Dedicated to health since 1927, Cecil Textbook of Medicine is like wine: the longer you indulge in it, the more captivating it becomes. This 21st edition on CD-ROM exhibits Cecil's wealth of experience in a manner that will make its contemporaries to sulk with envy. It is not just the best in terms of providing succinct information, but also in terms of contents organisation. 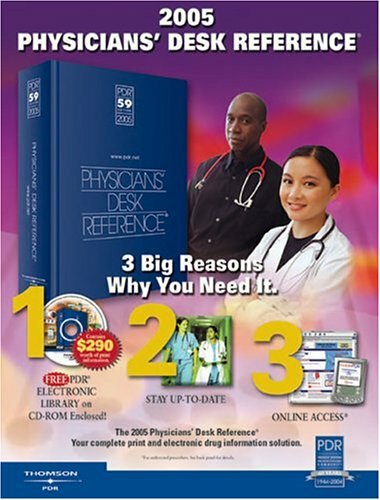 This CD-ROM remains the 'numero uno' multimedia Textbook of Medicine if flexibility of use is your priority. The only minus this book has is that it is not as thorough (in scope) as Kelley's text is. This book was first recommended to me by my consultant in internal medicine, so I decided to purchase a copy. So far I have enjoyed the book tremendously. The outlay is great; the depth of coverage is excellent, and it cuts to the meat of internal medicine without giving you distracting [and often confusing] information. Whenever I wanted a general overview of a topic, I turn to this book. For further studies, I use Harrison's. The standard is a bit high for the average medical student though. But if you are an intern, or an IM resident, you'll find the book an invaluable companion. I know Cecil for several years. I am using it together with Harrison for the last 20 years. I bought the 22nd edition with the web version. Try and compare the chapter on hyponatremia and compare it to Harrison. Try and find Carbamazepine on the list of drugs causing hyponatremia...you cannot find it in Cecil (but it is in Harrison and in the "current"). What about amiodarone and hyperthyroidsm? It is hardly mentioned in Cecil, and well described in Harrison (and in good old "current"). So, let's wait to the new edition of Harrison. 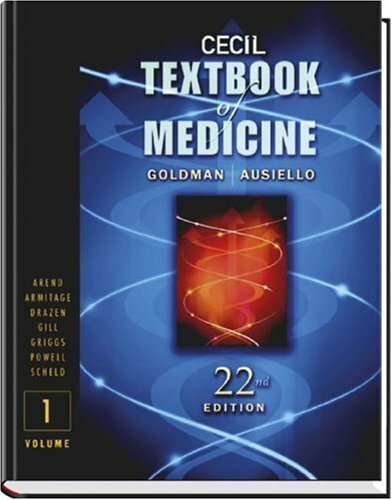 I first bought this book in Medical School and I still use it almost every week after 14 years. It is thorough and consise-- provides a bit of theory and a lot of practical information in a scholarly style. If youre a reader, get this book-- you may find yourself reading a reference book in your spare time. I would like to go to a physician who used Cecil Medicine as a reference. If youre not a natural reader, forget it and just buy the latest copy of the Washington Manual. This is a great textbook. I am an athletic training student who has used this book. Other good books to use with this one are Evaluation of Orthopedic and Athletic Injuries by Chad Starkey and Special Tests for Orthopedic Examination. This book by Hoppenfeld is a truly a standard for the athletic training profession. The text is easy to follow and the figures and diagrams are very clear. The book is laid out well and lends itself to study easily. Every athletic training student should have a copy--to study for the NATABOC exam and to use as a daily reference in the "real world" following certification. Get it if you are looking for a good reference book to put on your desk that tells you how to locate various anatomical parts of the body (bones, ligaments, muscles, boney landmarks, various nerves and vessels too). Good pictures and clear explanations make this book a classic. Also liked "Treat Your Own Knees" if you have a lot of knee pain patients. The drawings in this book are very clear and effective in explaining the specific anatomical landmarks in the body (i.e. anatomical snuff box, lunate, etc) in order to give a highly effective orthopedic examination. The book is very easy to read without making you read sentences over again in order to understand like in some other texts. The L3, L4, L5, S1 and C5, C6, C7 neurological levels are explained with much detail on how to do muscle tests, reflexes and where to place the pinwheel for dermatome evaluation. This is a must buy for medical students and chiropractic students alike. Being a doctor of chiropractic, I found this book excellent for the boards, especially the neurological level section and orthopedic tests. However, be careful on National board Part 4 exam when doing certain orthopedic tests, make sure to also reference Evan's book (isbn: 0838578535) because some indications for ortho test are a little different and performed slightly differently in both these books. In any event, if you want help with nat'l board review, get the following. These books are great along with Hoppenfield's book. These study guides are used by chiropractic students nation wide. They helped me a lot with passing the boards. This text emphasizes conceptual understanding of chemical principles by providing many conceptual example and end-of-chapter problems. It will greatly help those who know what meaningful study is and how to do it. Trying to memorize formula, facts, and procudures of solving different types of problems is not study and will result in poor grades in college chemistry classes. As for the price, all textbooks nowadays are very expensive. I'm not sure if there is anything we can do about it. No chemistry textbook can be used exclusivly to learn chemistry. A student must attend the lectures and show up for recitation in order to understand the concepts more fully. Chemistry is not an easy subject; it involves math and an imaginative mind in order to picture what one cannot see. If your instructor has not required it, you should consider buying the solutions manual. Let's face it- how do you know your answers are right? It may cost a good amount, but you can always resell it when you're done with the course. This text actually provides more diagrams than any other text I have seen thus far and I believe it is easier to read and comprehend than other texts. This is a text for someone who can sit down and study. Although, this is coming from a chem major, so I sometimes find myself wondering why people find it hard, just like you may find it hard for people to understand something you are interested in. This book drops mega-ton bombs more faster than you blink...'cause neutrons travel at a tremendous speed...clouds of smoke, un-natural blends of Fe. Only under one circumstance, it's if you're blunted, by this book 'cause the folks at the school want it. It has a few mistakes too...and the authors and editors could care less about undergraduate students.